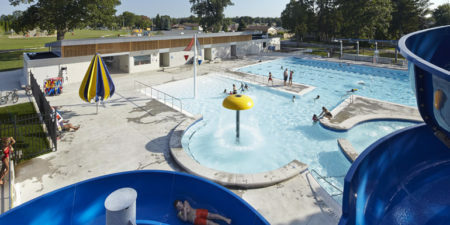 When the request for proposal (RFP) was released for the construction of a new community aquatic facility in Strathroy, Ont., in December 2012, there were numerous commercial pool builders preparing proposals. One of these builders was Acapulco Pools, which worked actively to be selected as the designer/builder of this project serving a community with a population of approximately 20,000. In January 2013, Acapulco was awarded the project and immediately procured the completion of all designs for the pool and the accompanying bathhouse. There were tight deadlines for the design and construction teams alike, with only 10 weeks to finalize the building’s architectural, mechanical, electrical and plumbing (MEP), and aquatic drawings and specifications.